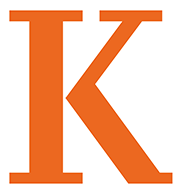 Kalamazoo College proudly recognizes all alumni, parents, faculty, staff and friends who support K in so many ways. The Donor and Volunteer Honor Roll acknowledges those who made a gift to the College during the period of July 1, 2017 to June 30, 2018. In addition, we are pleased to recognize more than 800 volunteers who gave their time and talent to College programs during this same period. Kalamazoo College strives to record the names of donors and volunteers in an accurate and complete manner. If we have inadvertently omitted or misstated your name, please let us know of the correction by contacting Desma Caudill in the Office of Donor Relations, 269.337.7247 or Donor.Relations@kzoo.edu.